December 20, 2013 - 11th Death Annivesary of Subramanian. N. Subramanian alias Chandran, my youngest brother, was born in Ernakulam, Kerala State of India in the year 1964. He was the most intelligent child in the family. His childhood was quite memorable as from age 3, he started joining my Father in performing Puja - chanting difficult Sanskrit slogas with ease! 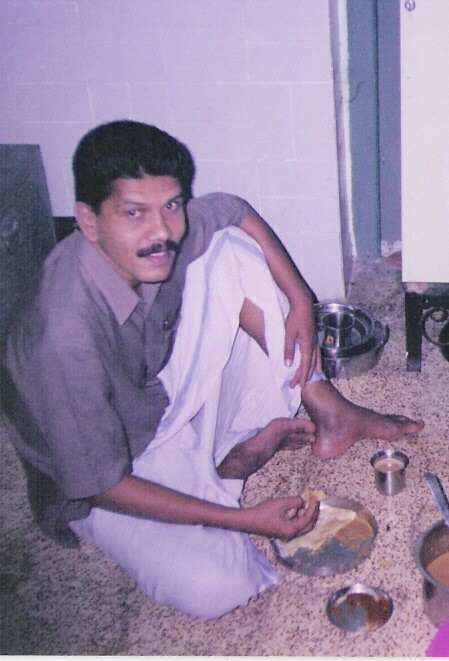 He studied at Ernakulam upto SSLC, but chose to concentrate more on assisting my Father in his business. During a visit to Sattur in Tamilnadu in connection with my Father's business, he was unfortunate to meet with a fatal road accident while riding his bike, and lost his life on 20th December 2002.